Sometimes I am so busy thinking up new ideas, or searching for inspiration, I forget about some real classics I have in my arsenal already. Does anyone else do that? Forget that they haven’t blogged about some all-time favorites? Well, this recipe is one of those. It’s not a “real” ice cream cake, it’s… cheater ice cream cake. 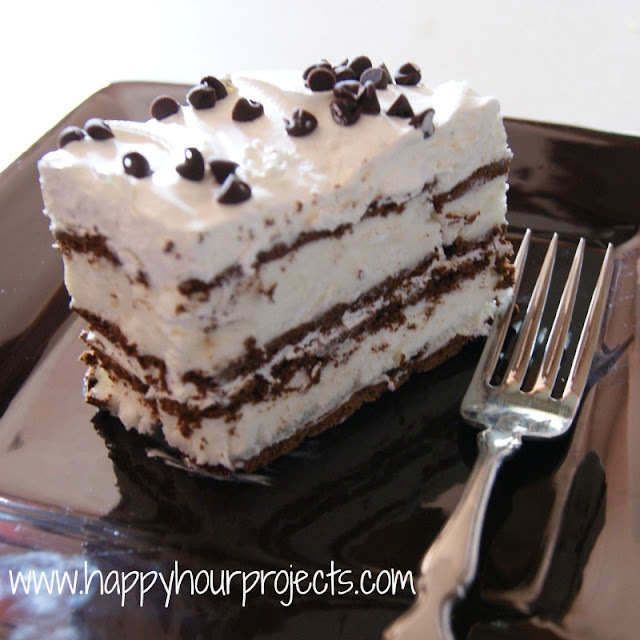 You do need a few hours to freeze it, but the prep for this awesome dessert is seriously 10 minutes or less, and it’s always a hit! 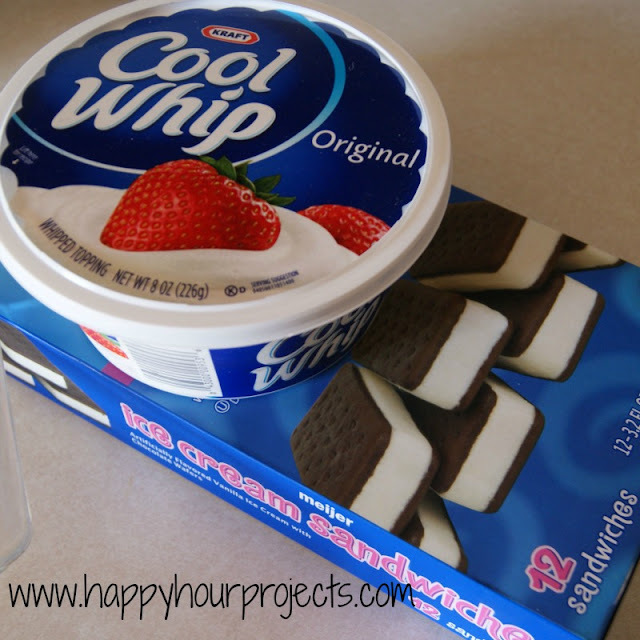 Your Cool Whip needs to be thawed before you begin. Unwrap all your sandwiches. This step takes most of the prep time. Now, take half of them and layer them in the bottom of your dish. 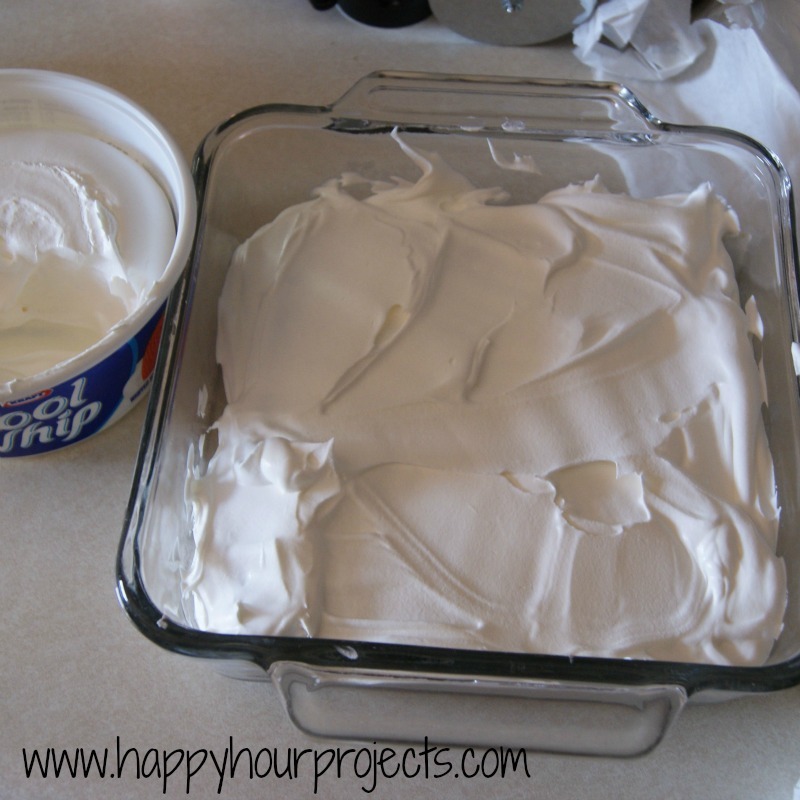 Some cracks between sandwiches are okay, because we will be re-freezing this, and the Cool Whip will cover any gaps. Most likely, you will end up with a leftover. I just cut a piece the size I need and set the rest aside, in case I need it for the top layer. Most pans are tapered slightly, and you may need more sandwiches on your top layer than the bottom. Now, add half your cool whip on top of the sandwiches. Top with the remaining Cool Whip, and sprinkles if you choose. Now, freeze it for at least 3 hours. (This is a great thing to make up the night before.) And that’s it! 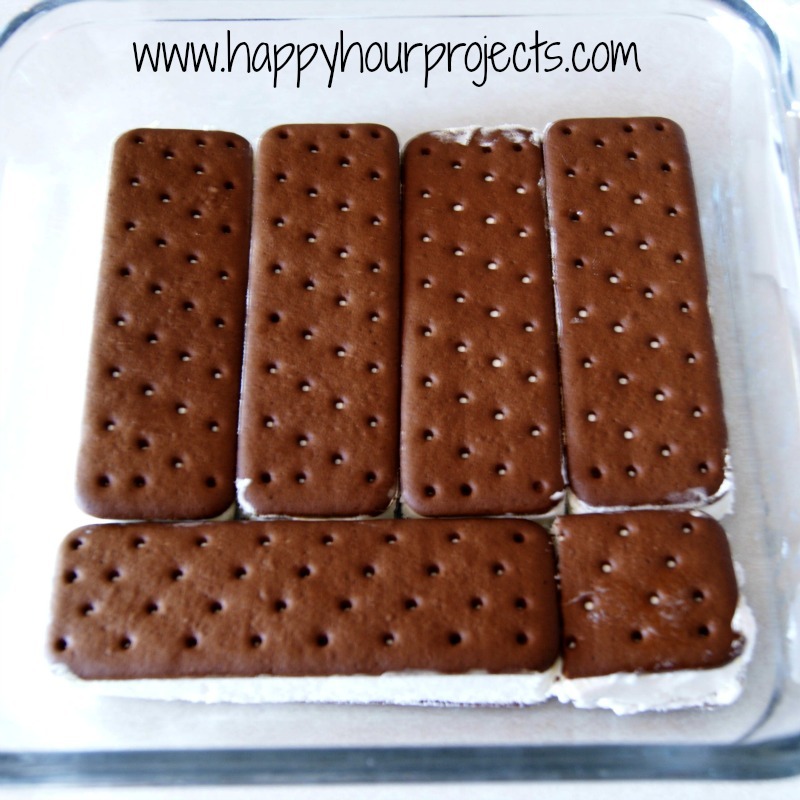 Super easy, and great for summer celebrations! Yum! 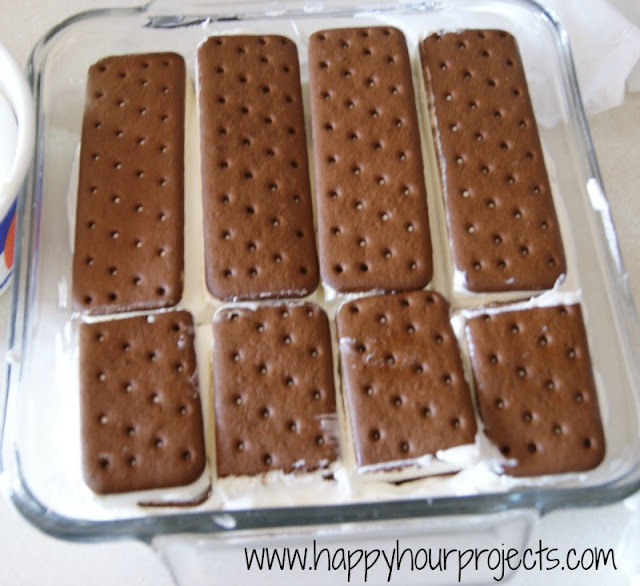 I've made ice cream cake before, and it takes forever! I'm excited to try this simpler version. If you haven’t already, I hope you’ll visit “One Creative Weekend” on OneCreativeMommy.com today (or any time this weekend) and link up! Looks great. My nephew would love this. Thanks for sharing at the All Star Block Party. This sounds so good! And so incredibly easy. A real winner. This looks so incredible!!! 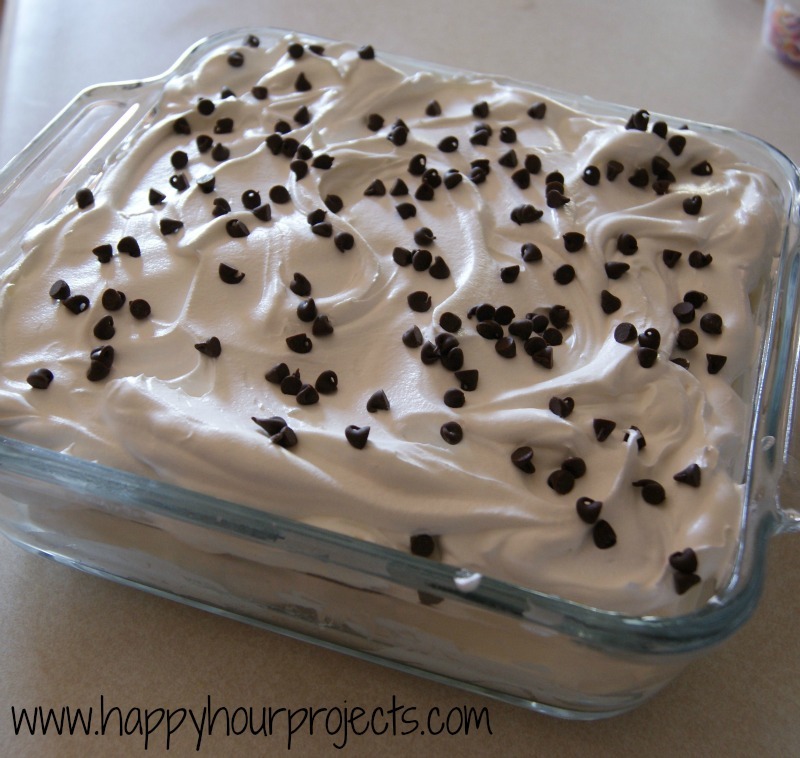 This is one of those things I would make…and more than likely consume majority of it! Oh my gosh my husband would LOVE this! His two favorite foods are seriously ice cream sandwiches and Cool Whip. Ha! Thanks for sharing at The Fun In Functional! Oh yeah – this is brilliant!! I'm so gonna make this! Totally in love with it! So simple! And looks delicious! Looks delicious – and super easy!! My kiddos would LOVE,LOVE this!! I'm all about the simple dishes. My kids would love to help make and eat this! This is my kind of cake! Yum :o) LOVE your new blog design too by the way! It looks great! Wow, great, simple idea! LOVE it! !